The Kainuu ELY Centre (Centre for Economic Development, Transport and the Environment) has published and announced the Environmental Impact Report on Terrafame’s nickel and cobalt sulphate production, i.e. battery chemicals for electric vehicles. The EIA report is part of the EIA procedure for the plant project, which is in turn part of the environmental permitting process. The document now published reviews the changes to the environmental impact of Terrafame’s current activities due to the start-up of new industrial production. The EIA report describes the project and its options, the environmental impact of the project, and the related follow-up measures. In addition, the document presents conclusions and an assessment of the project’s feasibility. The EIA report includes descriptions of the project’s impacts on the regional economy, transport, noise, air quality and climate, land and bedrock, water, vegetation, fauna and nature conservation, as well as the population and living conditions. The report also examines environmental risks and repercussions, as well as the disposal and use of waste. A public event on the EIA report will be held from 6pm to 8pm on Wednesday 31 October 2018 at the Break Sokos Hotel in Vuokatti, address Kidekuja 2. Coffee will be served at 5.30pm. Opinions and statements on the EIA report can be presented until 20 November 2018, to the Kainuu ELY centre. The EIA report can be consulted on the website of the environmental administration. An electronic link to the document can also be found at the end of this media release. In accordance with the amended Act on Environmental Impact Assessment Procedure of 2017, the EIA procedure currently underway focuses on the key impacts of battery-grade chemicals production. The impacts of Terrafame's operations as a whole were evaluated in an Environment Impact Assessment of production completed in 2017. The new plant has been assessed as technically, societally and environmental feasible In accordance with the EIA report, all project options for the plant are technically feasible. No equipment or process stages, which are not already in use in the industry, have been planned for the new plant. The best feasible techniques will be used in the production of battery chemicals, and no major uncertainties are associated with the operations or emission levels. All of the options are also feasible in societal terms. It is estimated that the noise and air emissions from the plant will be minor, and will not rise to a level which would impact on the development potential of nearby areas. With regard to the environment, the options VE1a and VE1b, in which the primary vapour requirement for the crystallization stage is lower, will have smaller environmental impacts than VE2. However, all project options are considered feasible. According to the assessment, the production of battery chemicals would not result in direct discharges into water bodies or changes in the quality of purified discharge water. "The new plant is planned for our current plant area, so it will not require the use of new natural areas. We will also strive to reduce and prevent the environmental impacts and process risks associated with the plant through careful planning, risk assessment and staff training. In every case, we arrange the storage and use of chemicals in the manner accepted by the Finnish Safety and Chemicals Agency (Tukes) and will continue to report on the use of chemicals as required by the public authorities," comments Veli-Matti Hilla, Chief Sustainability Officer. . The public event will begin with a review of the company’s situation and the current stage of the plant project, a presentation by the Kainuu ELY Centre on the EIA procedure, and an assessment of the impacts by the consultant Ramboll Finland. The public will have the opportunity to present brief questions in connection to the presentations. Following this, the info points provide a possibility to discuss the project and its impacts. "Having received good feedback from members of the public in Kainuu during the previous EIA programme stage, we aim to continue with the new model. We will bring to the event our process and environmental experts, who can answer a wide range of questions. I encourage as many people as possible to participate actively, so that the discursive nature of the event can be maintained," says Veli-Matti Hilla. The new plant will produce nickel and cobalt sulphates used in electric vehicle batteries. The production process would involve the use of ammonia. A new by-product, ammonium sulphate, is used by the chemical industry and as a fertiliser. Since the first EIA event held in April, Terrafame has continued preparations for the plant project. During the summer and early autumn, the technology options for the main processes have been analysed and equipment procurements have been negotiated. At the beginning of July, the company was granted building permits for two different production buildings by the municipality of Sotkamo, after which earthwork construction has been performed for the project on the company’s industrial site. The battery chemical project will not go ahead. Mining operations and metals production will be continued and developed, with the annual production of nickel being a maximum of 37,000 tonnes in accordance with the environmental permit application pending with the Northern Finland Regional State Administrative Agency (RSAA). The mine’s main product is nickel-cobalt sulphide. The degree of processing of the current finished product is increased by adding nickel and cobalt sulphates to the production process (up to 170,000t of NiSO4 + 7,400t of CoSO4), derived from nickel-cobalt sulphide. The main stages of the process would involve pressure leaching, solvent extraction and crystallisation. The crystallisation stage would be performed using a steam recirculation technique, compressing the residual heat from condensate. In this case, the need for primary energy would be lower than in a straightforward crystallisation process, but would also require the expansion of current steam production. Option VE1 includes two sub-options, VE1A and VE1B, for the expansion of steam production, which differ in terms of the fuel used. 18 MW would be required for steam production. The manufacture of nickel and cobalt sulphates would require the expansion of the existing oxygen plant at the site. As in option VE1, but with the crystallisation stage being accomplished through a straightforward steam flow-through technique, which is more commonly used but consumes more steam than the crystallisation technique used in option VE1. The steam required in the process would be produced by a solid fuel (KPA) boiler. The fuel capacity of the boiler is provisionally planned at 47MW. The boiler fuel would primarily consist of clean wood-based fuel and milled peat, but consideration would also be given to using recycled fuel produced from waste generated by own operations. The new boiler would replace Terrafame's existing metal production power plants, which would be retained as spare capacity. Members of the public can present opinions and comments on the EIA report to the Kainuu ELY Centre by 20 November 2018. According to the timetable set out in the EIA report, the ELY Centre will provide Terrafame with a reasoned conclusion based on the report in December. 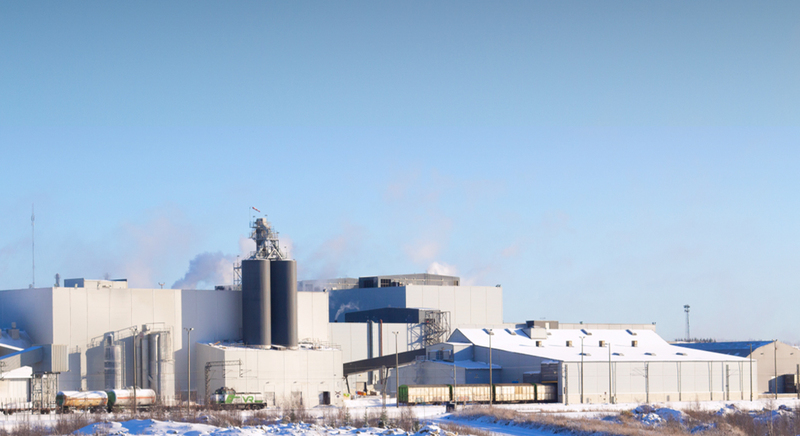 Terrafame expects to apply to the Northern Finland Regional State Administrative Agency (RSAA) for an environmental permit for its battery chemicals plant in early 2019, when materials from the EIA procedure will be used as attachments to the application.